We take the issue of data protection and confidentiality seriously and follow the applicable European data protection regulations. In the following, we would like to explain the most important aspects of our data storage. Only if you have given your express consent in this regard do we process and use your personal data. 2. How long is the data stored? We store all the information submitted to us for the time enrollment or employment. Data required by the government is kept indefinitely. Alumni information is kept with consent. If you no longer wish we use your data, we will comply with this request. 3. Can I find out what data we have stored about you? You can request information about your stored data at any time. 4. Can you arrange for the deletion of your stored data? Yes. You always have the opportunity to arrange a partial or complete deletion of your data. 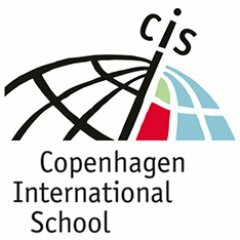 For this purpose, please send us an e-mail to dpo@cis.dk We will comply with your request. We are legally obliged to retain data which is required by the government. 5. What are cookies and what are we using? Cookies are small text files that can be stored on the hard disk of website visitors. The information contained in cookies makes navigation easier and enables us to display our websites correctly. Incidentally, our cookies are not suitable for identifying you as a person. You can prevent the storage of cookies by adjusting your browser settings accordingly. How this works, please refer to the operating instructions of your browser. 6. Who uses your data? Your data will only be used internally and externally for educational purposes. External software providers are vetted through a software audit each year, we check to make sure they are following GDPR laws. For US companies we check to see if they are listed on Privacy Shield (Section 2 list of software we use). In particular, your data will not be sold or rented.